"The Doctor showed me such a remarkable life and when he went it just took me a long while to get over it." 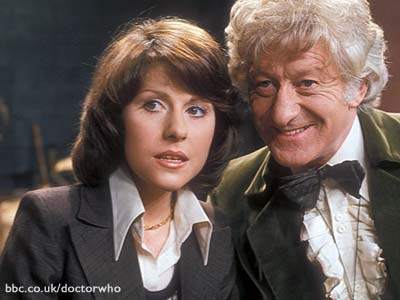 The same can be said for the lovely Elisabeth Sladen who passed away yesterday after a battle with cancer. It really saddens me to join with many, many Doctor Who fans across the world now paying tribute to the late Elisabeth Sladen. 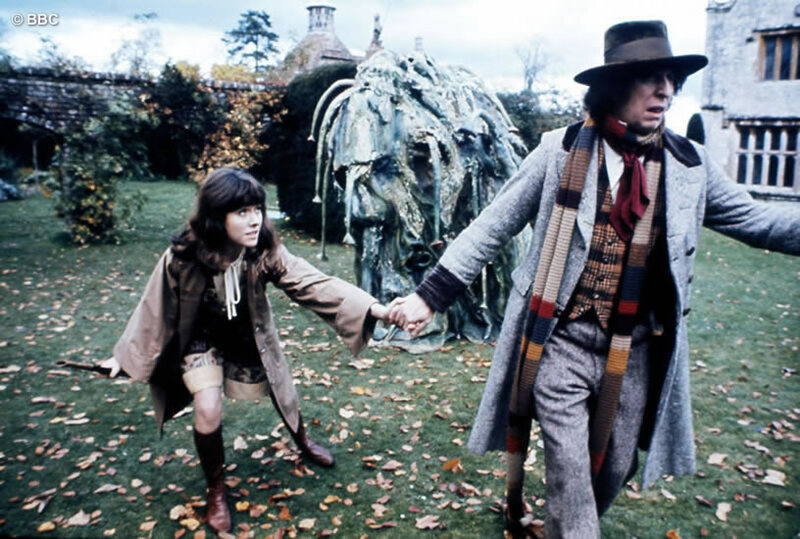 For young and old, she will always remain Sarah Jane Smith, the character that perhaps, more than many, epitomises the incredible reach that Doctor Who had and continues to have across the generations. Not many characters, never mind actors, have had the opportunity to bridge eras during the classic Doctor Who, then get the chance to inspire a spin-off, return to the new series and then get their own series. Lis was clearly very special indeed. Born in Liverpool, her early acting career began in rep at Liverpool Playhouse. Apparently her first stage appearance was as a corpse. And yes, she corpsed, thanks to future husband Brian Miller, playing a doctor, whispering "Respiration nil, Aston Villa two" in her ear. After marrying Miller, she moved with him to Manchester, still in rep, and in 1970 appeared as a bar maid in six episodes of Coronation Street. She slowly accumulated a number of small television roles in Z Cars, Doomwatch, Public Eye and Some Mothers Do 'Ave 'Em. It was Z Cars producer Ron Craddock that recommended her to Barry Letts, producer of Doctor Who, when he was casting for Jo Grant's replacement, Sarah Jane Smith, after Katy Manning had left the series at the end of The Green Death in June 1973. During her audition, whenever she wasn't looking at either Letts or lead actor Jon Pertwee, each would give the thumbs up to the other. She was introduced to audiences in The Time Warrior in December 1973 and was an instant success, eventually staying on the series for the next three years overseeing Tom Baker's replacement of Pertwee from December 1974. The attractive investigative journalist Sarah Jane Smith blossomed as she travelled with the Fourth Doctor, Baker and Sladen arguably producing the series's most effective and fondly remembered Doctor and companion combination. In 1976, she bowed out of the series in The Hand of Fear, bringing to an end one of the most successful on-screen and off-screen partnerships the series had ever seen. John Nathan-Turner attempted to woo her back to Doctor Who in 1981 and asked her to return as Sarah Jane Smith to smooth the changeover between the departing Tom Baker and his replacement Peter Davison. Although she declined, Lis did agree to return as Sarah in a 50 minute pilot K-9 & Company broadcast in December 1981. It was unsuccessful in making it to a full series but Lis returned to Doctor Who for the 20th Anniversary special, The Five Doctors in 1983. She also appeared as Sarah in the 1993 Children in Need special Dimensions in Time, returned in two BBC Radio plays, The Paradise of Death in 1993 and The Ghosts of N-Space in 1996 with her original Doctor, Jon Pertwee and in the Doctor Who spin-off, Downtime in 1995. Sarah's audio incarnation continued to live on in a series of Big Finish adventures released between 2002 and 2006. In the late 1970s, she and her husband returned to Liverpool, primarily to theatre, and she also continued with television work, including (as presenter) Stepping Stones for two years, Play for Today, Take My Wife, Send in the Girls. Barry Letts, then producer of the Sunday classic serials on BBC1, also cast her in his productions of Alice in Wonderland and Gulliver in Lilliput. Lis concentrated on family life after the birth of her daughter Sadie in 1985 but made occasional television appearances in Peak Practice and Faith in the Future during the 1990s. 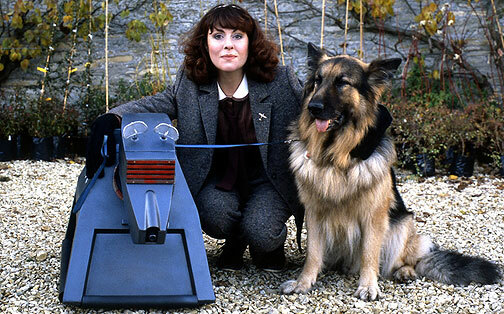 In 2006, it seemed that Lis Sladen may have temporarily left Sarah behind but Sarah herself would never be too far away and Russell T Davies, producer of the new series, triumphantly presented Lis and Sarah, including a returning K-9 voiced by John Leeson, to an adoring public in the Doctor Who story School Reunion during David Tennant's first full year as the Doctor. For New Year 2007, she starred in the hour-long pilot for the spin-off series The Sarah Jane Adventures for CBBC, introducing Sarah to a whole new generation of fans in Invasion of the Bane. This new series ran for four years, last transmitted in October 2010 and with a further six completed episodes still unshown. Both David Tennant and Matt Smith made appearances as the Doctor during the series's run. 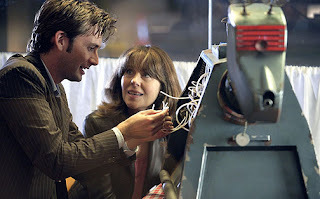 She also returned briefly to Doctor Who for the 2008 finale The Stolen Earth / Journey's End and for David Tennant's last episode, The End of Time Part 2. Sarah Jane Smith will live on, whether tomorrow you decide to watch her debut in The Time Warrior or her return in School Reunion, forever preserved on DVD, and remember Lis Sladen's generosity of spirit. I can think of no better way to say goodbye than with this quote from Russell T Davies: "I absolutely loved Lis. She was funny and cheeky and clever and just simply wonderful. The universe was lucky to have Sarah Jane Smith, the world was lucky to have Lis." Condolences to her family and friends at this very sad time. This has come as a complete shock. I'd no idea she was ill, and she seemed at full power, steaming ahead with the Sarah Jane Adventures and still looking fantastic. Come so soon after Nicholas Courtney, this is a terrible, terrible loss, that several generations will feel: big kids and little kids will be mourning the death of a wonderful woman. Such a terrible shock. She will be greatly missed. God bless her. As others have said, the news is as shocking as it is sad. Both Lis and Sarah Jane were wonderful, and I shall miss them terribly. Thanks for a lovely piece, Frank. like John Thaw, she must have decided only to tell her closest family and friends about her illness. I agree, it will hit the younger viewers really hard. She communicated that character of Sarah Jane Smith across several generations and found a whole new audience in the last three years. As RTD commented, parents will probably need to give their kids a special hug today to help them get through it. 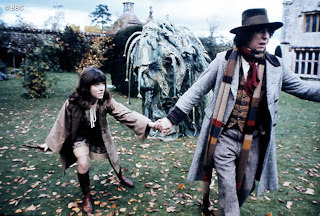 I wrote a few words in my new blog about Lis/Sarah Jane. Finding it hard, being 18. 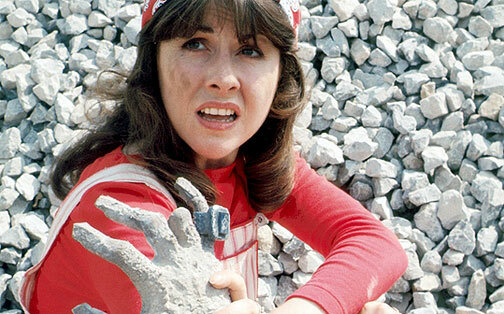 I'm still a child at heart, with my SJA love, but I also adore her stint in 70s Who alongside Jon and Tom.